AJAX as we all know is a very democratic technology in web development that allows a web page to update the content without page reload or refresh. Also WordPress is widely being used not just for Blogs but for CMS’s as well. Here we offer you a collection of the best AJAX themes and their most used features. Enjoy! 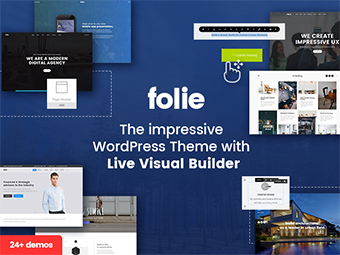 Folie comes with draggable elements and spaces, inline text edit, live changes, page to page communication, predefined elements and content blocks, team collaboration builder, live header builder, live layout changes, new innovative setup wizard installation, accelerated animations, narrated video tutorials, lightbox, apple live photo, envato toolkit, WPML, unsplash images, SEO, justify galleries, new innovative design. It Features video background, research, site width control, parallax sections, animations, live customizer, SEO and speed optimization, multimedia slides, codeless slider, WPML, CSS3 animations, child theme, ajax page transitions, smooth scroll, dedicated support team, video tutorials. Tower is a very modern, completely fashionable, clean and fresh-faced, stylish and luminescent, highly sophisticated and also thoroughly coded WordPress responsive multipurpose, multiconcept theme, an unbelievably large theme constructed to give a simple, effective solution for a tremendously extensive variety of site applications. With the Codeless Page Builder incorporated in the theme, theme users become an amazing page structure encounter. 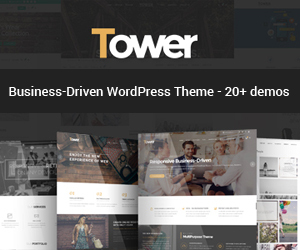 Tower theme is among the fastest, clean as well as aesthetic responsive WordPress Portfolio and also Photography themes on Themeforest. This layout makes use of Visual Composer and also the current HTML5 and also CSS3 modern technologies. It features a visual composer that aids you build business pages easily. It features unlimited color variations, powerful admin panel, powerful Bootstrap created, responsibility, high speed, CCS3, live customizer, fullscreen innovative sections, multimedia backgrounds sections etc. The Simple is the newest MultiPurpose Business Theme on the market. 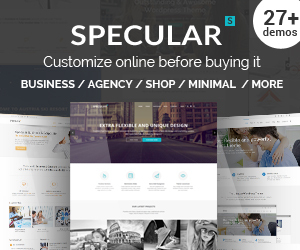 An incredibly gorgeous, exceptionally visually stunning as well as unique, fine-tuned and also sophisticated, graphically polished and also advanced, highly powerful responsive innovative theme, a specifically made theme consisting actually on 28+ pre made demos, to fullfill any king of special website vizualization. This Simple is also a high performance themes and it was created with a simple and clean look in mind. With the innovative Setup Wizard you can install theme and demo data, including sliders and plugins, with literally One Click! It is likewise feasible to develop incredible full screen sections and pages, via the perfect created structure and coding. This theme features light and dark footer styles, dual sidebar, parallax and hover effects, animations, text effects, many widgets and shortcodes, icons, drag and drop fronted builder, WPML supported, Setup Wizard innovative installation, high performance, speed optimization, RTL, Woocommerce, SEO, Mailchimp, narrative video tutorials, transition effects, custom ElleThemes slider. It comes with SEO optimization, 3 different home pages, 3 category view type, ajax powered, UX, SMM ready, drag and drop builder, fast loading and much more. Haruna is a creative photography web site theme developed with the newest HTML5 as well as CSS3 code. Retina ready optimization will make your content a complete high resolution charm. This theme has a very little and sophisticated style with beautiful typography. The theme is likewise developed with filterable portfolio that aids you set, manage and publish a modern as well as striking portfolio. It has a full integration with WordPress Customizer, handful of commonly used shortcodes, page builder, translation integration, six kind of portfolio media, four kinds of fullscreen gallery and one click demo content importer. The support team is fast to reply and has many satisfied customers. The fully-responsive theme consists of WooCommerce assimilation, powerful ajax shop and also lots of personalization alternatives, Social Sharing, Item Listing Ajax Filter, Ajax Contribute to Cart, Woocommerce Variant Swatches and also Images, Careless Load, Infinite Scroll, WooCommerce Shade and also Picture swatches as well as even more. This is an awesome theme for a news/magazine wanting to release the web content exclusively. Alto includes 15 stunning, predesigned demos and also an Advanced Admin Panel via SMOF. This theme additionally consists of various theme functions such as effective shortcodes, live search, wide and boxed layout, instant ajax search with thumbnail, unlimited color options, child theme, touch enabled sliders for product thumbnails, additional widgets to filter by Woocommerce etc. It is a great theme, both in design and functionality, backed up with even greater support. Alto can be customized using Option Framework. Nikka is additionally retina ready and also guaranteed to bring a pleasurable customer experience for those visiting your website. It showcases 40 portfolio layouts, a beautiful blog and also backed by a durable AJAX navigation system. It is very responsive as well as looks pixel best when checked out on modern devices. That makes Nikka a fantastically creative internet site layout. The mix of vertical menu as well as major huge menu makes the theme design extra hassle-free. Default residence pages can consist of stunning side menus, slide over menus, fully vertical navigating, the potent Revolution Slider and also Layer tools, having no struggle rendering your content in tools of any kind of ilk, from tablets to laptop computers, from mobile phones to desktop computer. It is optimized for page speed, it has robust theme options, localization support, demo XML file included, top notch support team etc. Mila is an expert portfolio theme that is very little as well as clean in design. It likewise features fantastic layout devices such as a web page builder, unrestricted shade alternatives, dark and also light skins that are all set to use, theme options and also shortcodes. It consists of Ajax search and also Ajax content loader. This item is totally responsive, as it has actually entirely removed compatibility issues. The framework of this clean and responsive WordPress Theme will certainly streamline your deal with material. It allows you play about with several customizable aspects to create a sophisticated minimalistic website that looks wonderful on all gadgets. It comes with google map, social share, multilingual optimization, post format support, audio support, lots of features and options and a well documentation. AGT Noname is easy to use, extremely simple to customize and also comes with effective theme features. Unique design components such as tiled portfolios, optional masonry blog and also a dark side bar will certainly make your content pop. This theme is JQuery powered, with substantial html5 and ccs3 responsive coding to ensure a remarkable making throughout all gadgets, web browsers and also screen dimensions. Your blog articles will undoubtedly standout, many thanks to its impressive typography and also great concentrate on readability. Great for publication, review, news as well as blog sites, with integrated reviews, galleries and unique design. It has a bonus 4 color schemes, cross browser, PSD Source included, a simple usage and ready to be used from everyone. Photojax is a very easy to make use of, expert, creative WordPress photography blog site as well as portfolio theme, founded on the notions of intuition and beauty. The minimalistic layout makes it straightforward to highlight your finest work without sidetracking from it. You can classify as well as identify your portfolio pieces like normal articles. This sleek and modern theme features two color skins, beautiful galleries, an audio player, and a minimal blog (all you’ll need for a great photography portfolio). Although designed for photographers it can be a great theme for graphic designers, architects, and anyone else with an image based portfolio. The design is totally responsive, as it could function on mobile phones, tablets, desktop computers and laptop computers. It offers homepage music option, gallery categories open via Ajax, blog template, support for Symple Shortcodes plugin and much more. Iris is a clear and responsive WordPress template. It combines a clear and distinctive design with performance and usefulness. With a responsive design it’s suitable on any units like tablets, iPad, iPhone, and Android Telephones. Iris consist of a clean and simple design and it is focused on functionality and usability. It has portfolio filter, Ajax portfolio loader, swipe effects, contact form shortcode, likes and views count feature, translation optimization, post format support, custom background for each post/portfolio, SEO optimization, webfont and several various other features that will make your website look professional and rise over your competitors. Fayce is a complimentary portfolio theme that can be made use of producing appealing profiles. Its elegant format has an ageless style that could quickly showcase your web content, including contemporary Ajax loading for portfolio items, and theme alternatives web page. Clean cut, elegant, it presents both simplicity as well as intricacy at the same time. Fayce has a minimalist appearance, combining white and blue shades, and providing the best performance for your works. This theme comes with a powerful WordPress Customizer that includes many useful features, custom portfolio items (change background color, align media, choose to display a flexslider), shortcodes plugins and a kind support.